How would you describe yourself as a gamer? These two monikers seem to be what describes most people who play video games of some description or other in today’s environment. Ranging from your everyday PC gamer to console gamers, you’ve now also got the mobile and handheld market that makes up for a large share of gamers as well. The ability to pick up your gaming at will and play on the move, be it however you travel, is a great asset in how we as gamers are able to play. The biggest problem with the majority of the gaming market these days is the dumbing down of games in general to make them more “casual” friendly as our generation, who mostly grew up in this gaming age, reaches the point of wanting to “settle down” or just have less time to spend on gaming in general. While this isn’t a bad thing necessarily, it has meant that the majority of games that we get for the handheld and mobile market specifically are those games that you can “pick up and put down” as it were, or as it’s being unlovingly referred to for the mobile and tablet generation of gaming: “toilet gaming”. In essence theses games are so easy to jump in and out of at will that they will most likely be played in that specific area of your humble abode. Why am I writing this, you ask? 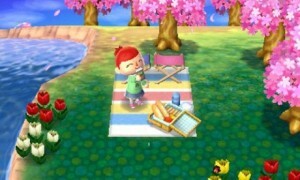 Well, recently I was chastised for my saying outloud that “Animal Crossing is not a game real gamers play”. In retrospect, that was a very stupid thing to say, mostly for the reason being I’ve never played Animal Crossing : New Leaf or any other games in the franchise for that matter. I’ve seen them and I’ve seen the reviews, but that shouldn’t give me the brevity to just hate on the game and disenfranchise its playerbase because I simply do not like idea of the game. Heck, I can name one game I spend more time on than anything else and it is also universally vilified by anyone not interested in it. …and neither is Animal Crossing! I can’t really make such a branching statement as a “real gamer” not playing AC: NL, when I have one game I can look at myself which I have spent a ridiculous amount of time on, but hits the very core theory of being a casual or “toilet gaming” area. Final Fantasy: Theatrhythm. 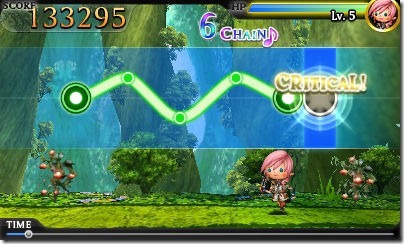 For those unaware, Theatrhythm came out in 2012 as part of the 25th Anniversary celebration of the Final Fantasy franchise, and is at it’s core a rhythm game. It has the element of pick up and put down gameplay of any casual game, and realistically, you can finish the main game in a little under 4 hours. However the continuation allows you to just jump in and out and play where you require. So, does this make me a casual gamer, and thus “not a real gamer” as I so notingly pointed out as above? 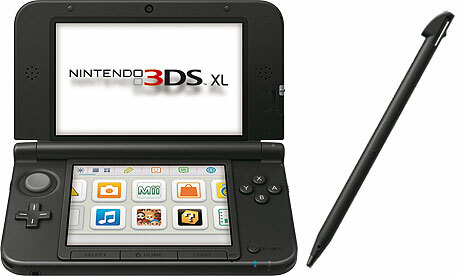 Many people can, and probably will point out the large amount of non-casual games that the 3DS system, and most likely other mobile and handheld devices have which will not fall under the “pick up and put down” gaming synonym that many of us have come to know. Even still, choosing to play whichever game takes your fancy, in whichever genre it is, is part of what makes us who we are and shows what kind of games we like and how we like to play them. So, while I’ll continue to get flack for saying stupid things I really shouldn’t, I’ll continue to play Theatrhythm while you continue to play your Monster Hunter, or your Pokémon, or your Animal Crossing, or any of the other games that the 3DS library has to offer. These days life is busy and complicated enough. After a hard days graft most of us just want to wind down with a pint and a simple game we need not think too hard about. It’s not like when we was carefree lads with no responsibilities and had all the time in the world to master our craft.